Forest - especially damp, lowland forests. 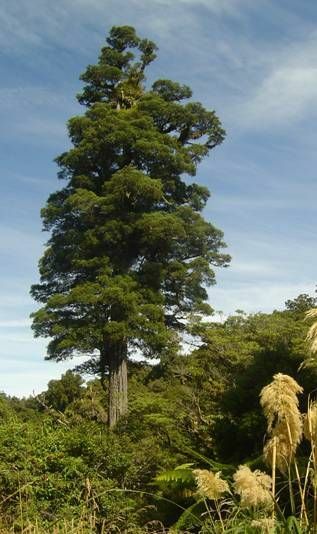 New Zealand's tallest tree, kahikatea was, prior to human settlement, the most prominent tree in the Hamilton basin. Huge forests dominated by kahikatea spread from the base of Mount Pirongia, over the Hamilton Basin and on the lowlands to the mouth of the river. If any tree is characteristic of the Hamilton basin it is the Kahikatea. Kahikatea have distinct juvenile and adult foliage, the juvenile foliage persisting in the shade of older trees as in the illustration. 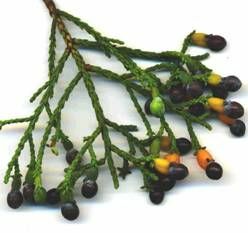 Although kahikatea dominate swamp and lowland forests they will also grow well on well drained soil. Specimens up to 60 metres tall have been recorded.